Contract Pending. Downtown Corner-Townhome w/ Private Backyard situated on complex's largest lot. 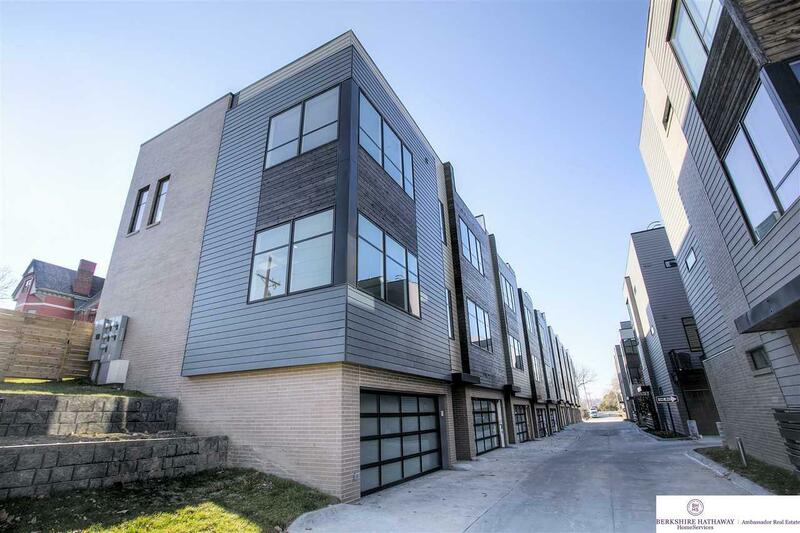 Brand New Construction w/ contemporary finishes. 2 Bed, 2.5 baths w/ a 3rd Flex room: office, guests, or expand master closet. 10 ft ceilings on main, large windows & walk out access to almost 600ft of private fenced yard w/ gate access. Rooftop deck 31x16 w H2O/gas hookup & THE VIEWS! Oversized 2 car garage w 220 outlet. Guest parking close by. Walk to Old Market in only 5 minutes! Low HOA $97/mo. Hoa Includes Lawn Care Snow Removal Common Area Maint.